Stone Mill Two Sided Hanging Slate Address Sign with Fleur de Lis - - personalized 12" x 16" slate plaque. The design, color, and personalization text will be the same on both sides. Custom made for you. Horizontal orientation with two lines of text, border, and fleur di lis accents. 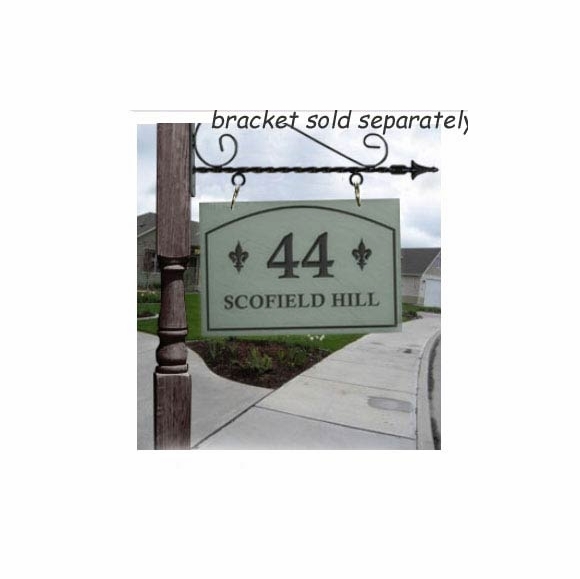 This two-sided personalized slate address plaque also comes in a Vertical Orientation (see Related Products).